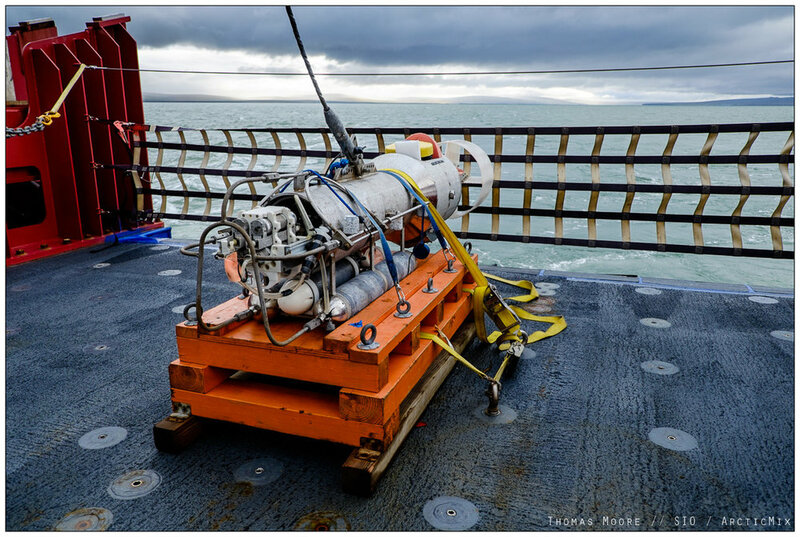 With the growing need to measure and monitor turbulence to both better understand climate and biogeochemical processes MOD has developed the epsilometer. This inexpensive, low power instrument is a modular platform for next-generation sensors suitable for floats, gliders, and shipboard profilers. The Wirewalker as an ocean profiler designed to traverse a column of water, using the power of ocean waves as propulsion. By using a ratcheting cam system, the Wirewalker can precisely profile while carrying data collecting instruments, with the profiling rate increasing as seas get larger. The Wirewalker has proven itself to be a functional and useful tool for scientists who wish to collect high-quality ocean profiling data. SWIMS is a unique towed system that provides snapshots of ocean mixing at an unprecedented resolution using dynamic winching of the towed-body relative to the sea surface. 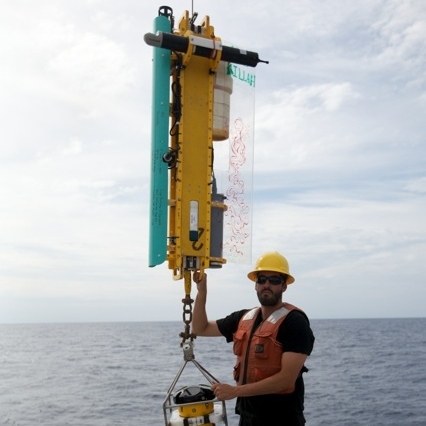 SWIMS carries upward and downward-looking ADCP’s, two pumped CTD’s, optical backscatter sensors, and a temperature and conductivity microstructure package (chi-ometer) consisting of a Sea-bird SB7 dual-needle conductivity probe and an SB8 FP07 thermistor mounted at the nose of the instrument. SWIMS comes with it’s own 440V, 3-phase winch. The MMP is a loosely tethered microstructure profiler that carries a pumped CTD, shear probes and FP07 thermistors for velocity and temperature microstructure. It is deployed from the stern of research vessels with a twisted-pair cable and can be operated in time series or along slow (0.5-2 knot) transects, providing repeated profiles of dissipation and buoyancy flux. Profiles to 300 meters can be done every 15-20 minutes. The MMP comes with its own 110 volt winch.